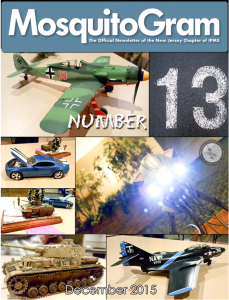 The November edition of the NJIPMS newsletter, the MosquitoGram, has been uploaded to the Newsletter page. Also, an article from this month’s edition, about the 2016 Region 2 show, written by Mike Dobrzelecki, has been added to the Features page. 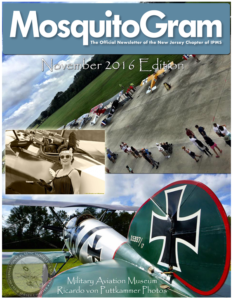 The September 2016 edition of the MosquitoGram has been uploaded to the Newsletter page. Also, two reviews from this month’s newsletter have been added to the site as individual articles, one on Building the Harriet Lane, and a review of the Cottage Industries Models kit of the USS Spuyten Duyvil. 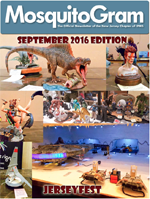 The September 2016 edition of the MosquitoGram has been uploaded to the Newsletter page. 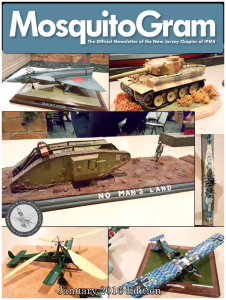 In it are a couple of build articles, a write-up of the IPMS Nationals show in Columbia, SC, and other information. The September club meeting is the same place and time as usual. Food and drink will be provided by the club. As noted in the From the Editor section, if anyone is interested in taking over newsletter editor duties, the please do get in touch with the current editor and let him know. The May 2016 newsletter has been added to the Newsletter page. This month’s meeting is this Friday the 13th. The June meeting will be a week early, Friday, June the 3rd. Everything is ready for the big show on Saturday morning. Club members, please be there at 7am to help set up. As usual, coffee and bagels will be supplied. 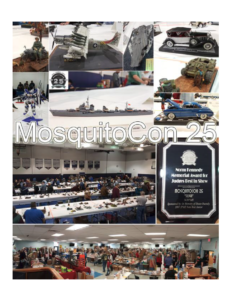 For show visitors, be sure to check the MosquitoCon 25 page for any last minute information, a list of who’ll be in the dealer’s room, and who’s supplied items for the raffle. The dealer’s room is sold out, so bring some spending money! Contest Entry forms are also online, fill them out before hand and avoid waiting in the registration lines. We’ll see you all on Saturday morning for the Silver Anniversary of MosquitoCon! The March 2016 MosquitoGram has been uploaded, and can be downloaded from the Newsletter page. MosquitoCon show information is being added continually to the MosquitoCon 25 page. Recently added items include the show’s Contest Categories and the Contest Rules. The February 2016 issue of the MosquitoGram has been uploaded to the Newsletter page. Also added to the Upcoming Events page is a link to the Old Dominion Open, a show later this month down Virginia way. A new year, a new issue of the newsletter. The January 2016 MosquitoGram has been added to the website on the Newsletter page. Contents include photos from last month’s year-end party, including some excellent models that showed up for the Model of the Year contest. 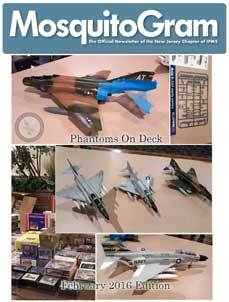 Also inside are updates on MosquitoCon, iHobby, and upcoming contest and seminar nights. Added to the Newsletter page. The newsletter for December 2015 has been added to the Newsletter page. You can download it directly from there. 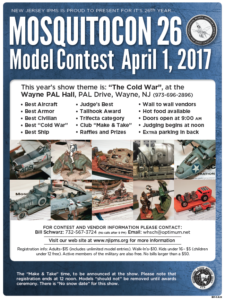 Other website updates are ongoing, not the least of which being the addition of information for all things MosquitoCon 25. Check back often for the flyer, dates and times, etc.